As a young girl, Daw Su Su Aung picked and collected coffee beans to help her mother and grandmother, who were coffee growers and traders in Ywangan Township, southern Shan State. As an adult, she continues the family business, both growing coffee and buying beans from local farmers and selling them to markets outside of town. Now in her mid-40s, she has started to produce her own brand of coffee powder, Amara Arabica, which is made without the use of chemicals at any stage of production. 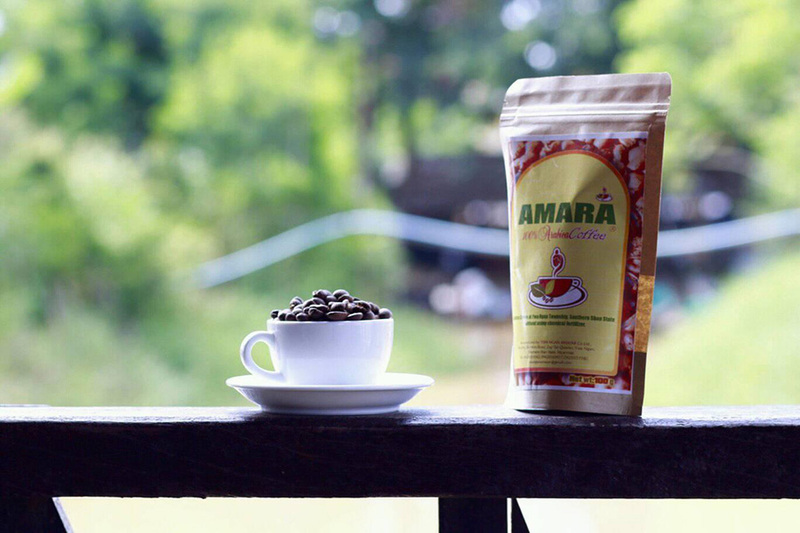 Both Amara coffee beans and powder yield a strongly aromatic coffee, and the brand has become well known locally since its launch in 2017. The products are not yet widely available in shops throughout the country, however. As more orders are received, the family-run business has plans to expand. She has received positive feedback, encouraging her to produce more for Myanmar’s growing coffee-lovers’ market. “That’s how this family business started,” she told The Irrawaddy recently. 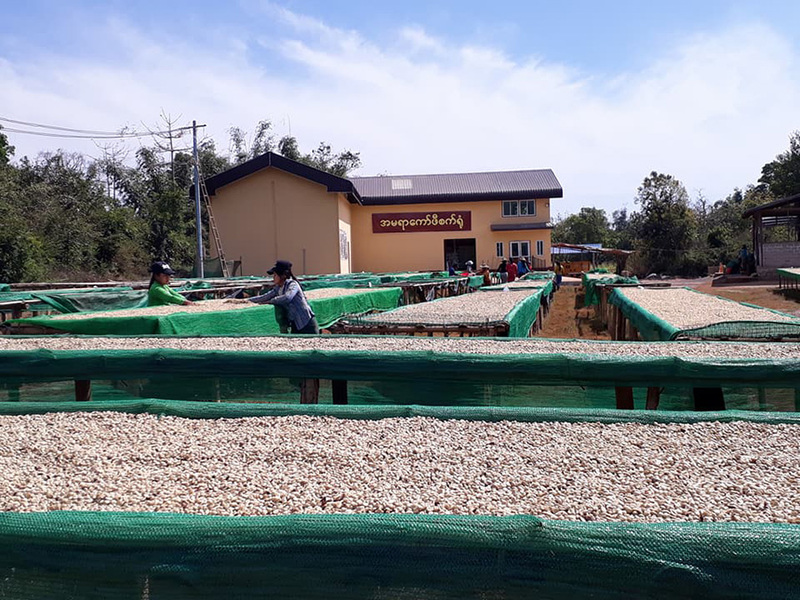 Until three years ago, the smallholder coffee farmers in Ywangan mostly sold their raw green coffee beans at local markets in Shan State’s Aungban Township, or in Mandalay, as they lacked any means of processing the beans into high-quality products. This has changed in the past three years, thanks to the US-funded Value Chains for Rural Development project, which focuses on the coffee industry and works closely with the Myanmar Coffee Association. The project provides training for coffee growers in the techniques used to produce high-quality beans. Myanmar’s coffee industry has also developed thanks to the advocacy efforts of coffee lovers. The Ywangan Coffee Cluster is one of seven that comprise the Myanmar Coffee Association, and has more than 10,000 coffee growers producing high-grade Arabica beans. Coffee farmers’ increased access to the processing know-how required to produce quality beans, and to coffee markets, has made it possible for them to export thousands of tons of coffee to Europe and the U.S., in addition to Asian markets including Japan, South Korea, Thailand and China. From fiscal 2015-16 to October 2018, total coffee exports, including border trade, amounted to more than 1,500 metric tons (MT) valued at over US$5.2 million, according to U Ye Myint, the chairman of the Myanmar Coffee Association. In fiscal 2017-18 alone, exports exceeded 477 MT. At the end of 2015, Daw Su Su Aung started learning to produce high-quality beans through a U.S.-funded training program run by WinRock International, an INGO helping coffee growers and processors in Myanmar. Six months later, she brought together other coffee farmers, mostly women, from about five villages in her town, and applied for a USAID grant. The value chain project helped her to start building the Amara Coffee Processing Factory. The facility processes the beans of every farmer in her network, and hosts training programs related to coffee “cupping” (the process of evaluating the aroma and taste of coffee) and quality control. When this reporter met Ywangan’s “Coffee Lady” at the Amara Coffee processing facility in the township last year, she was attending a quality assessment training session hosted by her facility. “We use the natural, or ‘dry’, system of processing as taught by WinRock, which produces better quality beans. In 2015-16, our specialty coffee developed a reputation in the area. We launched Ywangan Coffee as a specialty brand and it debuted in the U.S. market [in 2016],” Daw Su Su Aung said. The Amara Coffee processing factory now benefits some 300 families in 20 villages in Ywangan, whose coffee beans are processed into quality products. The factory produced 20 tons of specialty coffee in 2017, double the amount produce a year earlier. 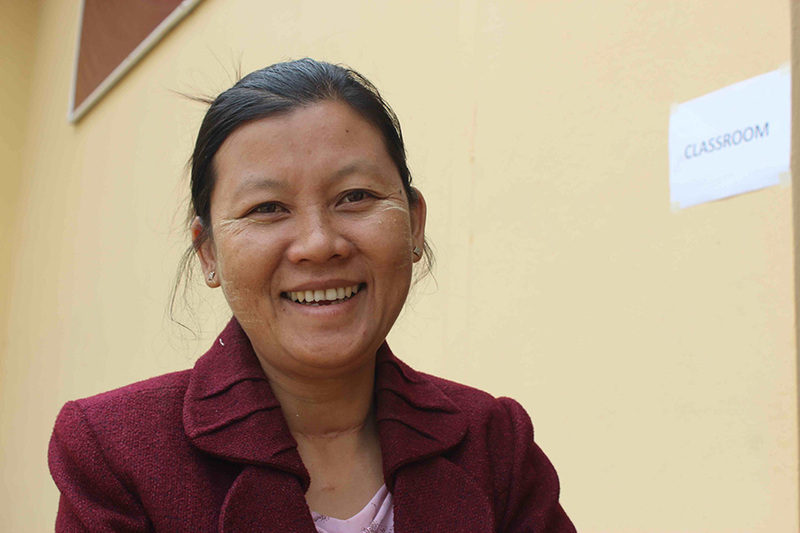 She also leads the Amayar Women’s Coffee Producer Group, which provides alternative employment opportunities to women in nearby villages by producing specialty coffee. Now that growers have gained access to the new and more valuable international markets in the U.S., “Their incomes have increased too, because the price of raw beans has risen. Workers now earn at least 100,000 kyats per month,” she said. However, as with other types of farming, coffee growing requires extra labor during the harvest season, despite the fact that many local coffee farmers in Ywangan work on their own plantations. 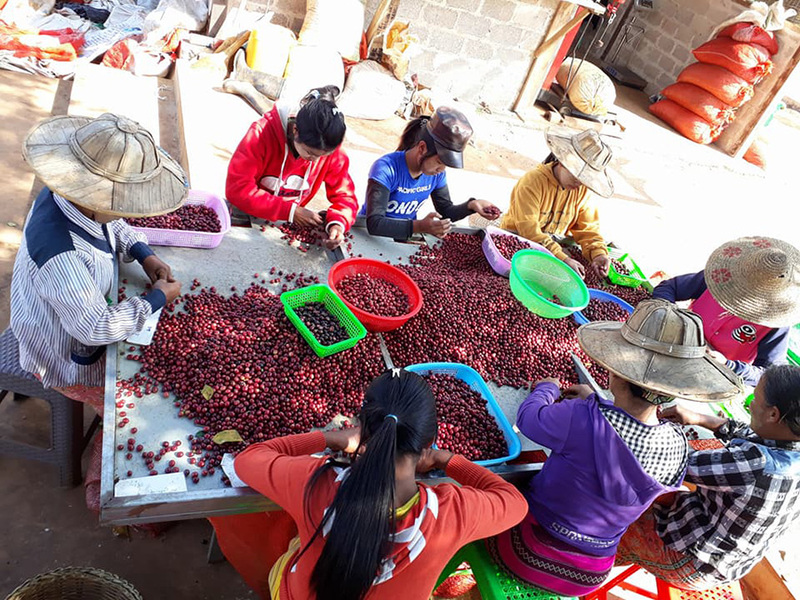 In December and January, when the coffee cherry beans are ready to be picked, finding enough workers can be tough, Daw Su Su Aung said.